I am, however, unable to find them in the 1852 census for Canada. 105205-68 (Peel) William BELL, 28, Toronto twp. 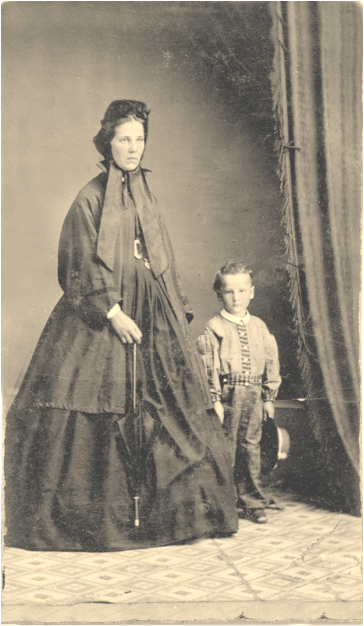 Canada, s/o Hugh BELL & Susannah DUNBAR, married Jane MCDOWELL, 21, Chinguacousy Canada, d/o James & Mary MCDOWELL, witn: Samuel MCDONALD of Chinguacousy, 28 Oct 1868. Twenty-three years old, can Jane be found in the 1871 Census alongside her husband William Bell thirty and their young son Hugh age one. (3) They are living next door to Jane’s brother William McDowell, his wife Jane (Bell), William Bell’s sister and their daughter Susana who is a year older than Hugh. This is a picture of Jane a few years later with either William or John. Jane’s elder brother William, lists his birthplace as Ireland, but was the last one in the family to be born there. 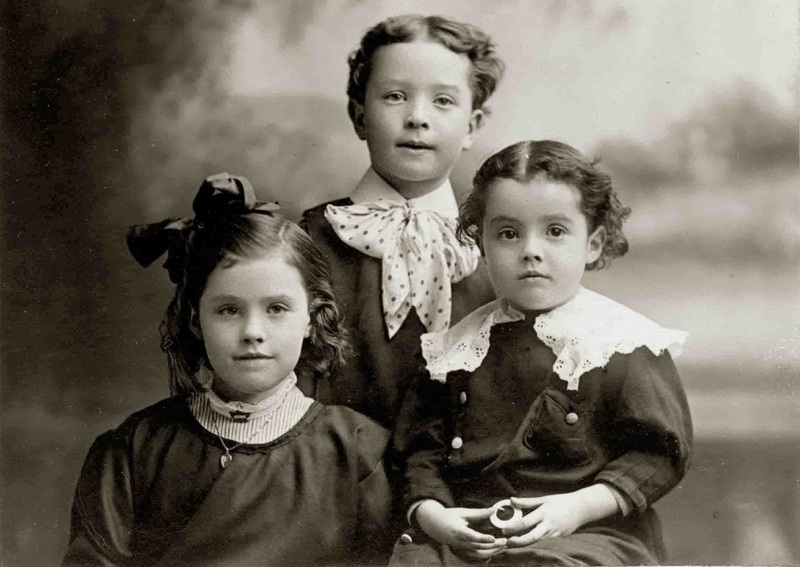 All of Jane’s siblings living with her widowed mother Mary are born in Ontario, including Jane. This would suggest that they had been in Canada since 1845. I was able to find Jane's parents James McDowell and Mary Glover. James died in 1862 leaving Mary a widow. Jane McDowell Bell died August 30, 1877 four days after the birth of their fifth child Joseph. He died on the September 12, 1877. I was able to find the death certificate and it says Jane died from puerperal convulsion as a result of the birth. Her death registration says Jane was twenty-nine years old at the time of her death but my records indicate she was thirty. She left behind a husband and three living children. Jane was buried in the Ashgrove Cemetery. *The text at the bottom of the headstone is illegible. What does the small stone stand for? ​(2) D. 1872 Hugh "Ontario Deaths, 1869-1937 and Overseas Deaths, 1939-1947," database with images, FamilySearch (https://familysearch.org/ark:/61903/1:1:JF11-948 : 9 March 2018), Hugh Bell, 16 Mar 1872; citing Esquesing, Halton, Ontario, Canada, p 199 cn 023061, Archives of Ontario, Toronto; FHL microfilm 1,846,466. ​(3) Bur. 1877 Hugh Find A Grave, database and images (https://www.findagrave.com : accessed 10 October 2018), memorial page for Hugh Bell (1870–15 Mar 1872), Find A Grave Memorial no. 99402755, citing Ashgrove United Church Cemetery, Halton Hills, Halton Regional Municipality, Ontario, Canada ; Maintained by Cathy Beaudoin (contributor 47622350) . After moving west Will met a young woman by the name of Ada Morgan originally from England. (5) They married soon after and on June 8th 1900 had their first child, Lillian P. Bell. They would have six children. Will was a market gardener on a small farm out west and remained there all of his working life. When he retired in 1945 he and his wife moved back to Ontario and settled in a house on Victoria Street in Georgetown. William and Ada attended the Knox Presbyterian Church and William continued his interest in agricultural affairs. He had been a long time member on the board of the Qu’Appelle Agricultural Society. William outlived his two younger brothers John and Nathaniel. ​(1) B. 1871 James "Ontario Births, 1869-1912," database with images, <i>FamilySearch</i> (https://familysearch.org/ark:/61903/1:1:FM3X-T36 : 8 August 2017), Jane Mcdowell in entry for James Bell, 26 Sep 1871; citing Birth, Esquessing, Halton, Ontario, Canada, citing Archives of Ontario, Toronto; FHL microfilm 1,844,888. (6) C. 1906 "Canada Census, 1906," database, <i>FamilySearch</i> (https://familysearch.org/ark:/61903/1:1:KHVW-6CV : 1 April 2016), William Bell, 30, Qu'Appelle, Saskatchewan, Canada; Public Archives, Ottawa, Ontario. ​(7) ​C. 1911 "Recensement du Canada de 1911," database, <i>FamilySearch</i> (https://familysearch.org/ark:/61903/1:1:27XT-CPS : 16 March 2018), William Bell, 1911; citing Census, Qu'Appelle Sub-Districts 1-33, Saskatchewan, Canada, Library and Archives of Canada, Ottawa, Ontario; FHL microfilm 2,418,578. ​​​(8) C. 1916 "Canada Census," database with images, <i>FamilySearch</i> (https://familysearch.org/ark:/61903/1:1:KM5W-82K : 11 March 2018), Wm James Bell, Saskatchewan, Canada; citing p. 9, line 31; Library and Archives Canada, Ottawa, Ontario; FHL microfilm 2,434,958. ​(10) ​Bur.1948 "Find A Grave Index," database, <i>FamilySearch</i> (https://familysearch.org/ark:/61903/1:1:QPHL-CRL8 : 21 June 2018), William James Bell, 1948; Burial, Georgetown, Halton Regional Municipality, Ontario, Canada, Greenwood Cemetery; citing record ID 190194737, <i>Find a Grave</i>, http://www.findagrave.com. The 1901 census has Nathaniel listed as a boarder at Samuel McGibbon’s hotel 79 Main Street South in Georgetown, Ontario. (4) There is still a hotel in Georgetown with the same name today. It would seem according to information about this hotel that it was built by Robert James in 1849. He sold it to Thomas Clarke in 1867 and it was then known as Clarke’s Hotel although the real name as more likely the Exchange Hotel. A fire in 1888 destroyed the two leveled building, prompting a reconstruction in which a third level was added. In 1895 Samuel Hopkins McGibbon leased the hotel. It has been know as the McGibbon hotel ever since. Nathaniel was a machinist by trade. He worked for Creelman Brothers knitting machine factory, as a tool maker. He resided in Georgetown for many years before moving to Brampton, Ontario. He died Feburary 3rd 1932 in Brampton at his home, just fifty-seven years of age. (8) It mentions in the obituary that he was a good citizen and an honorable man and that he would be deeply missed by friends and family. The funeral was attended by 25 Oddfellows from the town as Nathaniel had been a member of Orion Lodge, No. 109 L.O.O.F at Brampton. The Friday afternoon service was conducted at the home by Rev. Mr. Soper of Brampton and assisted by Rev. Mr. Rumley of Georgetown who preached the sermon. The Oddfellows conducted their service at the grave. Well attended, there were many beautiful floral tributes to the deceased. Mary lived to be eighty-nine years of age and remained healthy and in her own home until the end. She died February 27th 1969. Her daughter Deretta, survived her along with four grandchildren and eight great-grandchildren. Both of her sons Alvin and Cameron predeceased her. An interesting aside told to me by a cousin and immediate family of N.C. Bell. His son “Cam” had a 1929 black car with a rumble seat. Apparently Nathaniel, although unable to drive liked to have his picture taken in it. (1) B. 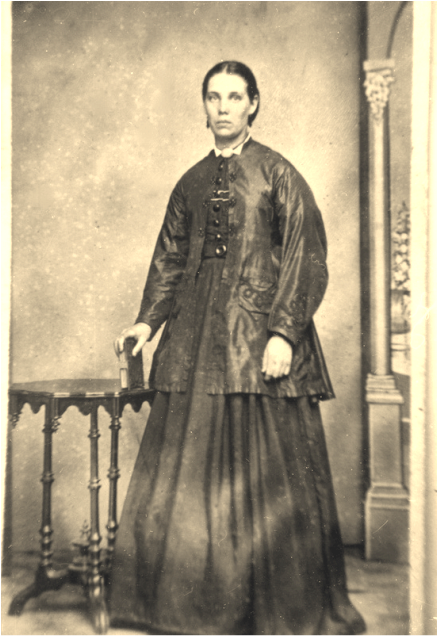 1874 Nathaniel Cameron "Ontario Births, 1869-1912," database with images, <i>FamilySearch</i> (https://familysearch.org/ark:/61903/1:1:VNLK-MDC : 16 July 2017), Jane Mcdowell in entry for Nathaniel Bell, 10 Oct 1874; citing Birth, Esquesing, Halton, Ontario, Canada, citing Archives of Ontario, Toronto; FHL microfilm 1,845,042. 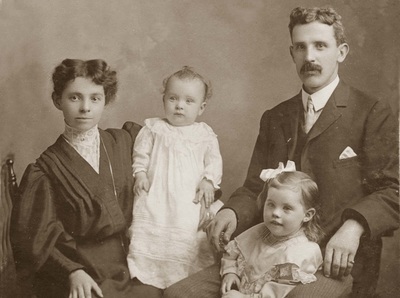 (5) M. 1902 "Ontario Marriages, 1869-1927," database with images, <i>FamilySearch</i> (https://familysearch.org/ark:/61903/1:1:KZBV-WQC: 11 March 2018), Nathaniel C Bell and Mary Victoria Thompson, 27 Mar 1902; citing registration , Georgetown, Halton, Ontario, Canada, Archives of Ontario, Toronto; FHL microfilm 1,871,083. (6) C. 1911 "Recensement du Canada de 1911," database, <i>FamilySearch</i> (https://familysearch.org/ark:/61903/1:1:QV9T-8QQ6 : 16 March 2018), Nathaniel Bell, 1911; citing Census, Halton Sub-Districts 1-32, Ontario, Canada, Library and Archives of Canada, Ottawa, Ontario; FHL microfilm 2,417,700. (8) D. "Ontario Deaths, 1869-1937 and Overseas Deaths, 1939-1947," database with images, <i>FamilySearch</i> (https://familysearch.org/ark:/61903/1:1:JJSP-HVF : 9 March 2018), Nathaniel Cameron Bell, 10 Feb 1932; citing Brampton, Peel, Ontario, Canada, 27183, Archives of Ontario, Toronto; FHL microfilm 2,378,660. Joseph Bell was born August 26th 1877 and died September 11th of the same year. He was just two weeks of age from diarrohea. His mother Jane died August 30th 1877, only four days after his birth. William and Jane were never to have any girls in their union, and only three of their boys would reach adulthood.